Cafe Creme Cigarillos have been made in the Netherlands since the 1960s. Having sold billions of units worldwide, they are some of the most popular small cigars around. The Blue variety features a smooth Ecuadorian Connecticut shade wrapper leaf to bring you a mellow and smooth smoke with rich, toasty, and woody tobacco flavor. Again not to complex - good draw, enjoyable. these cigars are very mild and have great favor. These are a great smooth smoke every time. Guaranteed to satisfy the average cigar smoker. Great taste and aroma, rolled a little loosely thus burns fast. 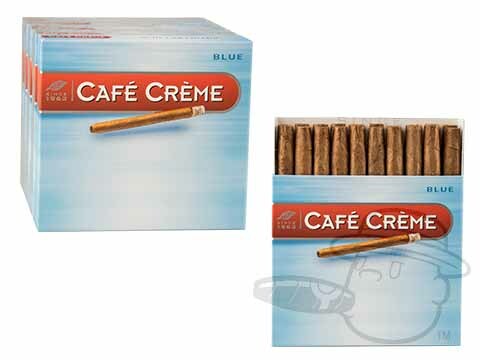 Cafe Creme Cigarillos Blue is rated 4.6 out of 5 based on 13 customer ratings.